The total spending – excluding gaming expenses – of visitors to Macau last year reached MOP61.32 billion (US$7.6 billion), representing an increase of 16.4 percent year-on-year, show the data from the city’s Statistics and Census Service. Total spending of overnight visitors grew by 18.2 percent year-on-year to MOP49.75 billion, while that of same-day visitors went up by 9.5 percent to MOP11.57 billion, according to the latest figures. The growth in non-gaming spending by visitors outpaced that in the aggregate tally of visitor arrivals to Macau in 2017, which was up 5.4 percent year on-year. Macau recorded more than 32.6 million visitor arrivals in 2017, according to official data. The total non-gaming spending of visitors in the fourth quarter of 2017 stood at MOP18.19 billion, up by 23 percent year-on-year; and an increase of 14.2 percent sequentially. 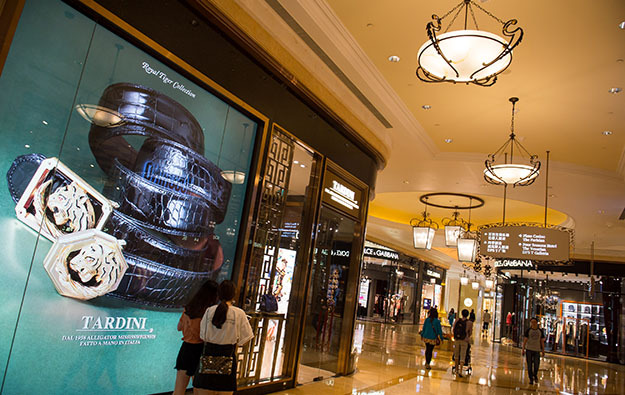 Mainland China remains Macau’s largest single source market for tourists. In 2017, non-gaming spending by mainland Chinese visitors to Macau amounted to MOP48.89 billion, accounting for nearly 80 percent of the total spending by visitors last year. The growth seen in the per capita spending of mainland Chinese visitors for 2017 has also outpaced that of the visitors from other markets. The per capita spending of mainland Chinese visitors – also the highest amongst all source markets – was MOP2,203, up by 11.6 percent year-on-year. For the whole of 2017, the per capita spending of visitors stood at MOP2,072. The per capita spending of overnight visitors to Macau last year increased by 7.6 percent year-on-year to MOP2,883; while that of same-day visitors increased by 8.7 percent, to MOP754. Analysed by consumption structure, visitors spent mainly on shopping, accounting for 45.4 percent of all non-gaming spending in 2017. That was followed by accommodation (25.8 percent), and food and beverages (20.9 percent). Per capita shopping spending increased by 14.9 percent year-on-year to MOP855, which was mostly spent on local food products, and cosmetics and perfume, according to the statistics bureau. In 2017, Macau’s average tourist price index – which reflects the price change of goods and services purchased by visitors – rose by only 0.77 percent year-on-year to 131.87 points, after two years of decline. The increase was mainly attributable to rising charges for hotel accommodation and restaurant services, and dearer prices of Chinese local food products, according to official data.